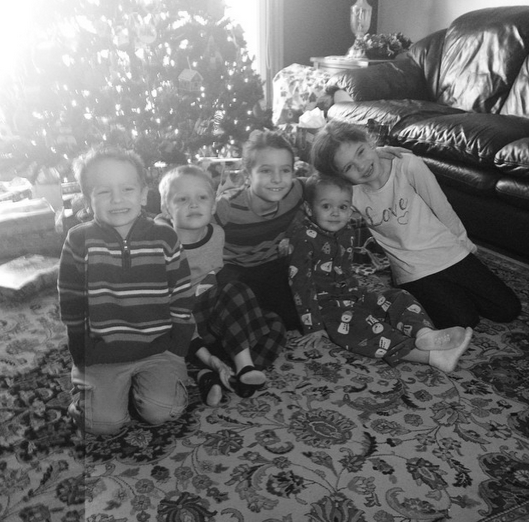 Recently, I wrote a post on 6 Things Our Family Has Chosen to Splurge On. This post was one of the most-read posts I’ve shared the past few months and many of you asked if I could do a follow-up post listing things we don’t spend money on. I’m constantly asked how we save money on kid’s clothes and, to be honest, this is an area where we keep things really simple. My kids could care less about brand names right now. They do have their own unique styles, but they willingly wear pretty much whatever I find for them on used clothing sites or through online deals. In fact, I can’t remember them really ever complaining about not having certain kinds of clothes. It probably helps that we homeschool (i.e. they don’t feel left out or less than that they don’t have whatever is the current “hit item” or “hot must-have” item that everyone at school is wearing/talking about). I think it also helps that Jesse and I both are really simplistic when it comes to clothes and we wear the same things over and over again. So they pretty much follow suit. So the truth is: in the past two years, we’ve gotten most of our kid’s clothes used from Thred Up and Schoola using credit that I’ve earned by sharing deals here. You might be thinking that that’s not really fair since I do have a blog that a lot of people read and you don’t have a blog. Well, I bet you have some mom friends who would be excited about the current deal from Schoola where they can get $15 in FREE credit + FREE shipping just by signing up. Sign up and share your referral link with friends and they can get free clothes shipped for free and you can get $15 in free credit for every person who signs up and orders! Score! We also sometimes use our Amazon gift cards earned through Swagbucks to supplement kid’s clothes purchases — especially if I’m not able to find the right size, etc. on ThredUp or Schoola. Other than tortilla chips and Greek yogurt or yogurt tubes, we buy very little other prepared snack food. Instead, we usually make our own snack foods. Some of our favorite quick and easy snacks are cheese quesadillas, popcorn, Energy Bites, hardboiled eggs, and fruit. I also try to have at least a few snack items pre-made and frozen all the time — whether that’s muffins, Banana Bread, burritos, cookies, or Peanut Butter & Jelly Sandwiches. 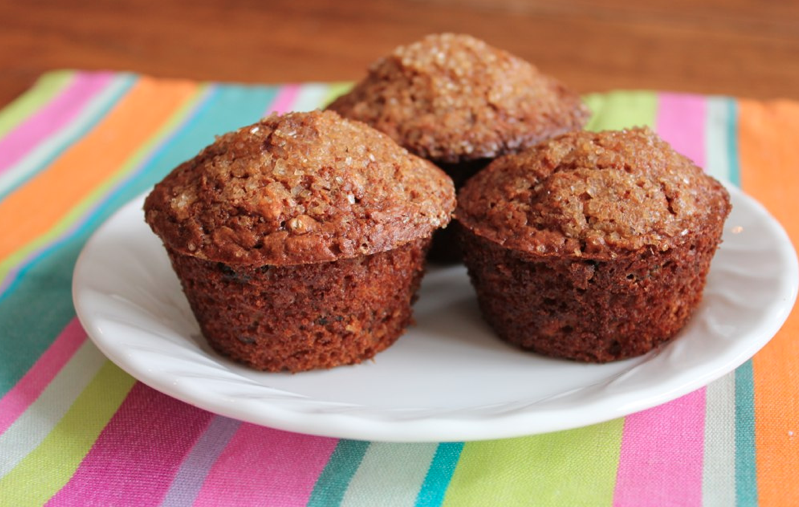 We save a lot of money by eating mostly homemade snack foods. And as a side benefit, homemade is almost always healthier, too. Confession time: We almost never get professional photos taken. I know, I know, that probably makes me a “bad mom” by some people’s standards, but it’s just never been a priority to us. We do take lots of pictures and I try to document our daily lives on this blog, on Instagram, and on pictures I save on my computer. I prefer the real-life pictures that show some of the mess and chaos over staged pictures in a studio. The few times we’ve gotten professional pictures done, it’s been so. much. work to get everyone looking presentable and smiling in pictures. The whole experience felt exhausting. Plus, I’ve not really been too happy with the final results. So, for now, I’m just happy to mostly stick with taking pictures on my own camera and phone. We budget for eating out once a week — which is definitely a luxury but something that we really enjoy. However, it’s usually an inexpensive meal at Chili’s, Chipotle, Cracker Barrel, or Chick-fil-A. I can’t think of a time when we’ve taken the kids to a fancy restaurant and Jesse and I usually only going to a nice restaurant maybe once or twice a year, if that. Going to the theater to see a movie is also a very rare occurrence in our family. I’d say we probably take the kids to 1-2 movies per year and Jesse and I probably go see one ourselves maybe once a year. Some of the reason is that it’s expensive, some of the reason is that Jesse and I don’t get babysitters very often, and some of the reason is that we’re so picky about movies that it’s hard to find a movie we think would be worth seeing in the theaters. Plus, while I love good movies, I usually find it more relaxing to enjoy them all snuggled up together on our L-shaped couch with blankets and popcorn. And when it cost us pretty much zero out of pocket to do so (thanks to free Redbox codes, free Amazon Prime movies, and other shows that are available free online), it just always seems like a better option than going to the theater. 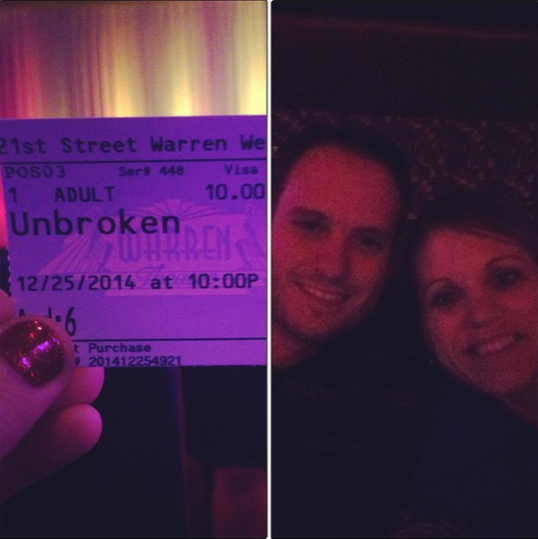 The last movie I saw in the theater was Unbroken and that one was definitely worth paying to see in the theater. You all know how minimalistic I am at heart and how much I just plain don’t care when it comes to furniture and decor. I mean, I like clean and uncluttered and I like fresh flowers, but other than that, I care much more about functionality and practicality than I do about how nice something looks. So over the years, we’ve spent very, very little on home furnishings. The majority of our furnishings have come from Craigslist or have been given to us. We have kids and we live here all day, every day, so wear and tear is inevitable. Because we’ve paid very little out of pocket for most of our furnishings, I don’t have to worry about something getting ruined or stained or ripped or nicked. What about YOUR family? What are some things you rarely spend money on? I’d love to hear your list! « Coupons: Swanson Broth, Danimals, Mitchum, Old El Paso, plus more! We are eerily similar on things we don’t spend money on. Only main difference is we have some great thrift stores here so we usually get our clothes there. 99 cents on Tues, 75 cents on Wed & 50 cents on Thursday any piece of clothing at our “Last Stop” Thrift store. Pretty wonderful. We don’t go to the movies either. I think the last one we did was Return of the King but I don’t know for sure. The grands take the kids from time to time but we never go. Sugary snacks are something else we rarely spend money on. We’re still working on Halloween candy in this house. Lol And it’s a rare occurrence that we pay for a book. With all the free ebooks you post that’s generally where I get my new reads. And of course the library is always available. 1. My clothes – I buy most of my clothes and everyday jewelry at thrift stores and yard sales, and have gotten some very stylish items for next to nothing. 2. Dining out at nice restaurants – we’re more grab-n-go people. 3. Movies, CDs, DVDs, books – it’s just not a priority. We watch network tv (no cable or satellite), listen to music on the radio, and use the library or internet for reading material. 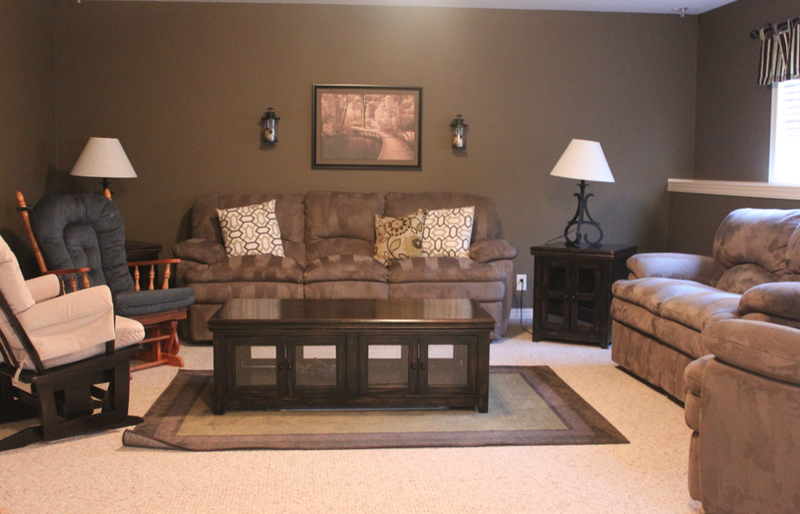 5. household furnishings – nearly everything is from auctions, yard sales, or Craigslist. I tell myself that someday I’ll grow up and buy a nice new living room suite, but it’s just never become a priority. I loved this post. I agree with most of what you said, and we live very simply as well. One thing we DO splurge on occasionally is a family dinner out at a fancy restaurant. We think that this an important lesson in etiquette. I want my children to know how to properly behave in a “white tablecloth” restaurant and to know that there is a higher standard of behavior expected there than at McDonald’s. I remember one time when my husband and I were out with our daughters when they were 5 and 3 years old. They were perfect young ladies through a long meal and we received many compliments from other customers. They made their parents proud! No Movies. No Cable/satellite. No internet on cell phones. No junk food. No fancy salons/spas going on here. We do our own nails and hair color. Definitely no restaurants-ever….unless grandma is paying 🙂 No video game systems. We do play on kindle for fun, and we play outside (gasp!). Oh no gym memberships, DVD works just fine. I could go on but that’s some. What a great list, Crystal. My husband prefers eating at home (we don’t get sick afterward, and it’s more economical). We also buy very few snack foods. Our favorite snack is peanut butter, honey, and banana sandwiches. We also love fruit smoothies as well as hard boiled eggs. I’ve never had my nails done. For our wedding, a girl from our church offered to do my hair for free; I did pay her, but nothing like I would have paid at a salon. All this said, we do not feel deprived one bit! We love taking walks, reading books, spending time together, and enjoying meals at home. Ditto on the getting sick eating out. I don’t know if we get more sensitive to the chemicals or what but it ruins the fun with too rich, complex foods. 1. We rarely go to the movies. Maybe once or twice a year we will pay to see a movie. We borrow them from the library, friends and family. 2. A lot of the books I read I get from the library, ARC’s from writers and publishers for an honest review, contests and buy used from the used book store that I have store credit at from taking books in that I wanted to get rid of. 3. I found out just recently that our city added a delivery of our local ads and coupons so I don’t have to buy the paper. 4. We don’t pay a lot for our haircuts because we go to our local Fantastic Sams, Great Clips and Super Cuts. They usually have coupons and a frequent customer card that when full gives you a free cut. 5. We usually try to buy our snack foods at the dollar store or I will make them homemade. 6. When we go out to eat we try to eat at places that have coupons, discounts/specials certain hours of the day or days of the week. 7. We drive our cars for years. On average we drive our cars for 12 years before buying new on the Z plan, with dealer rebates and 0% finance charge. 8. Our clothes and furniture we buy second hand, on clearance or sale items with coupons. How cool that your city added delivery of the locals ads and coupons! I wish every city did that! Las Vegas does that. We get the grocery ads in the mail, and a smaller version of Smart Source comes without getting the paper. Some zip codes (not mine, but the next one over!) get Red Plum coupons too. Yep. I love the dollar store! *All the above supports my Severe Coffee Addiction. Worth it. hahaha! I have issues with iced coffee and I feel so much better reading this. HA!! We go to maybe 1 movie a year, otherwise watch Netflix or Amazon Prime. We never go to fancy places to eat. Also, we don’t buy disposable paper products except toilet paper. You’d be surprised how much that saves, in money and the environment! We also have only basic cable, that came free with our internet. And we always use the library for books, music and movies. I have the app on my tablet, so when I hear of a book I want to read, I just reserve it quickly. I just got your book that way, Crystal! It drives my mother-in-law crazy that we don’t use paper towels or paper napkins! I have a stack of cloth napkins and kitchen towels that we use at meals — they aren’t all pretty but with two toddlers I would rather them learn to wipe on a towel than their shirt sleeve. A load of cloth napkins is SO much cheaper than buying paper. But I’m with you, I still buy TP! I am impressed that even though you have reached a well deserved level of success for all of your hard work, that you have stayed true to who you are! I have met so many people over the years that assume once you achieve a certain amount of earning power that you should abandon your “old ways” and be more ‘spendy’. I’ve seen how this ‘spendy’ lifestyle is fun for them, but I’ve also seen how in certain situations it can negatively affect family/children. Anyways, good job! Keep up the good work! 1. Movies: (We did splurge to see the pre-release of “Beyond the Mask” because it was a rare project that our whole family could enjoy. 2. Books: Kindle has thousands of free classics. 3. Cell Phones/ Plans: We buy our phones used and have prepaid data plans for $40 a month. I use coupon apps on it to justify the expense LOL. 5. Home school items: I buy used on items home school classifieds & resell them when we are finished. *We have found some awesome photographers thru Groupon and Amazon local, a great family photo becomes art to display for years to come..hope you find one you like. Do you mind my asking who you are getting your solar panels from & how big of an investment that is? That is a ~very~ long term goal of ours but the info is rather overwhelming. My family is similar to yours in what we don’t spend money on. Kid clothes come from the thrift store with the exception of school uniform items. My daughter is a freshman in high school and getting her first taste of formal dances — we have found lovely designer dresses for $4.50 for both dances she attended this year. Other things I don’t spend money on — coffee out — I love making fancy coffee at home (also I only drink it really early in the morn in my PJs). School lunches — my kids prefer taking a packed lunch from home — they know where the good food is. It’s not just about the cost of movie theaters for me; it’s that they are always cold and uncomfortable. I’d much rather sit at home and watch a movie. Another thing that I rarely spend money on is cosmetics. I’m kind of a hippy so I don’t use chemicals in my hair (except shampoo, but that’s a whole story), I only wear make up for date nights and events, and I don’t use chemical facial cleaners. I compared costs with my friends and if you account for all that (brushes, cleansers, make up, hair spray etc.) I’m saving probably a $1000 or more, plus my skin is amazing! Added bonus most of my family knows I only use organic soap so they love to give it to me for gifts, I haven’t had to buy soap for myself in over a year! I agree with you on movie theaters being cold and uncomfortable, but I have also recently read that bedbug infestations at movie theaters are becoming an increasing problem. Apparently, the bugs like to get comfy in the cushy seats and then hop onto the next unsuspecting person who sits down. I don’t know if I will ever be able to sit in a theater seat again after reading that! I’m with you on not going out to eat much and rarely the movies. I think it is so much fun to curl up on the couch to watch a movie in comfy clothes and just snuggle in with my husband! Also, I love to cook! Plus, it’s more healthy. My husband even helps occasionally. 🙂 We like to do things together and being at home is a huge savings and more relaxed. Even with friends, we meet at each other’s homes and do a meal together rather than a loud restaurant with high prices. We’re big fans of eating in friends’ homes, too! We are on the same page, though I buy prepackaged snacks when they’re super cheap. I.e. my kids are still eating goldfish crackers and pretzels from Halloween clearance that I purchased for cheaper than I could make, I’m sure. And, we aim for one night out, but sometimes do 2-3. I’ve been making freezer meals which has helped on those days I’m tempted to not cook. We are pretty much right there with you on all of those things except we do buy new clothing for hubby and myself but always look for deals. The thing we do not spend money on is vehicles. We never buy unless we can write a check for it and every month we deposit into our replacement fund. We drive older vehicles and we have a great mechanic who keeps them on the road for us. Keeping them maintained and clean is what we feel is important. Icecream at icecream places in the summer. We buy a half gallon of good icecream and use paper products for far less than going to buy icecream cones at a store. Smartphone: My desktop is serves me well for internet service. I can still use Savingstar and Checkout51 by scanning my receipts. We still use a landline which costs us about $35/mo., and I have a flip phone (this is only my second phone in 8 years, the first I got for free when I used a gift card which I won as a door prize. I purchased the second 3 years ago for no more than $20) for emergencies and texting. I use T-Mobile and add minutes as I need them. I have used this for so many years that I get an extra 10% added to purchased minutes; I end up spending less than $5/mo. for cell service. Agree! We have a landline and use TracFone for emergency/quick question calls. This was the better deal after bundling our landline with Internet, plus it keeps us from being too glued to phones and keeps us more present for our family. Oh, it makes me happy to know that even a *photographer* hasn’t spent money on professional pictures! –Kids clothes usually come from Salvation Army or super duper clearance items from discount stores. I try to sell what ‘s in great shape when they grow out of it to contribute to next season’s clothing expense. –I haven’t been to a movie in over five years, my four year twins have never been to the theatre. My hubby usually takes our older son once a year for a boys’ day out. We watch Netflix, Redbox and rent free family movies from our local Family Video. —No cable subscription. We use Netflix, Amazon Prime and stream things from youtube. Cable is just too expensive (and we even get a deal since hubby works for a big cable provider). —Home furnishings and decor. Our couches and mattresses were just about the only things bought new (on sale). Other items are from Craigslist, yard sales, thrift stores or DIY projects. —Kids toys – the big toy items my kids have were all purchased second hand at a huge savings over buying new. Play kitchen, doll house, bikes, mini trampoline, sand box, play house, and most recently a $3,500 wood play structure bought for $350. —Services – we do our own lawn care, snow removal, house cleaning, etc. We get cheap, if not free, Vacations! My husband is fortunate that he gets invited to some great destinations with his company. Last year the kids and I tagged along for 3 destinations that were local enough to drive to. The gas is paid for by the company as are the hotel rooms. While my husband works during the day, the kids and I go on local excursions and enjoy parks and the free pool! We try to eat as we would at home and bring snacks in a cooler. We enjoy the free breakfast that typically comes with most hotel stays. While my husband may not get to enjoy all the benefits of the vacation, he is happy to share the time and finds great joy in having us with him. I don’t have a cell phone or a second car. We’ve had one car for 10 years and it has been fine for us. Going out to eat is a rare treat for us–usually we go once or twice a year with a gift card that was given to us. This is usually just a date for my husband and myself. My parents have started taking the children out one on one for their birthdays, which has been a great clutter-free gift! Many years ago, after having professional pictures taken, I realized how much money I would save if I just bought a low-end DSLR and started taking pictures myself. It’s taken time (and lots of free online classes and tutorials) but I have pictures now that I like so much more than the ones we used to buy. We cut every family member’s hair at home (my husband cuts mine) and I don’t color my hair. Most of my children’s clothing comes from yard sales. I’ve found some beautiful pieces this way. Recently I found some clothes for my older son via Facebook garage sale pages. I would rather spend $25 on a fruit tree than go out to eat for the same amount. Likewise, I will buy a rose bush for $25 over buying two dozen roses; the rose bush will yield me more roses than that. Along that same line, I grow my own (and don’t buy from the store) lettuce, peaches, grapes, plums, figs, pomegranates, green onions, blackberries, tomatoes, lilies, artichokes, apricots, basil, parsley, thyme, oregano, tarragon, sage, chamomile, mint, roses, larkspur, and lemons. Every family has their own priorities for what is important to them. I love reading everyone else’s lists to see if there is something else I can cut, in order to allow more in my budget for the things on which I will spend. How do you ‘beat the clock’ and get your pix cheap? We save in the same areas as you. Our favorite spot for a treat eating out is our local grocery store. It has a great variety of foods to choose from and a wonderful outdoor spot that overlooks all of downtown and the university. At night it is beautiful. The kids both get a slice of pizza at $2.50 each. It is huge. My husband loves Sushi and this store makes their own. $5.00 for a package that all three of them will share. I get to have a gluten free sandwich made with what I want and served pressed and warm:) We share a drafted root beer and also drink water. We have things that we don’t spend on, either. No cable. No netflix, no amazon prime, no hulu. Just straight up antenna. No paper towels. We use dishtowels instead. No fancy furniture. Luckily, this is an aesthetic thing for me. I like a unique, mismatched style, and it’s best served from places like Craigslist and antique stores. I buy most of our clothing used. 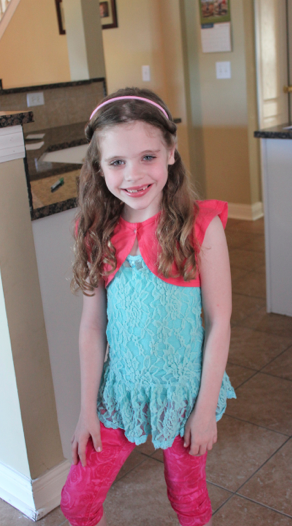 I *love* kids’ clothing, but I thrift for it, almost exclusively. Win/win in that I consider an hour at the thrift store relaxing and fun. Thrill of the hunt and all. Books. We are avid library users. 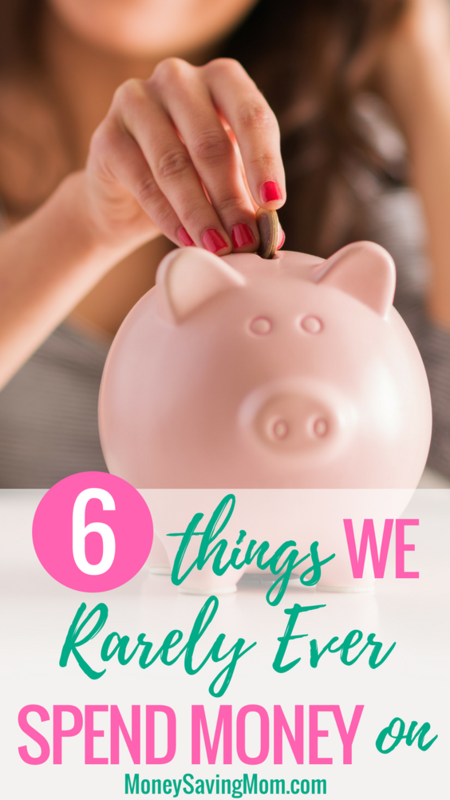 We use the savings for vacations (oh, I dearly love to travel), better eating out (we’d rather eat out great stuff every other month than mediocre once a week), and the luxury of me staying home with my kids (the best luxury that we have!). 1. Agree on the professional photos. We had them taken last Christmas and they were beyond horrible. And after dealing with screaming, crying kids for an hour, I wanted to take some Tylenol and hide. 2. We rarely spend money on books, DVDs, and CDs, unless it’s a book series the kids love. Too much clutter and money when the library is free. 3. In the summer we try to ditch weekly eating out for a weekly “ice cream drive” taking advantage of Sonics half-price evenings. It seems like more of a treat to the kids than another quick meal out and saves us at least ten dollars a week. 4. We recently found that our local nursing home runs a thrift store to support their senior programs. Items are a great quality and CHEAP. I bought several sets of 8 clean cloth napkins for $1 each set and hopefully now will not be wasting money on as many paper towels and paper napkins. We’re very similar in things we don’t spend money on. In addition, we don’t buy drinks in coffee shops (Starbucks and such) — we carry reusable bottles with us wherever we go. We don’t buy knickknacks and other little trinkets (my kids don’t expect things from stores). And we don’t pay people to do work around our house (we cook, clean, repair, etc. ourselves). Those are the three additions that immediately come to mind. I am in the same boat as you when it comes to decorating my home. Of course, it helps that my husband and I live in an apartment and there is only so much decorating we are allowed to do anyway. I love furnishing my place with items and pictures that remind me of special memories. For instance, I made a collage from various pieces of paper collected from a honeymoon Disney Cruise. By professional standards, it isn’t very well made. But it makes me smile each time I look at it. Since our only child an adult works in the film industry we rarely need to go to the movies, she sends us boxloads of dvd’s of brand new movies to watch if we so choose…I get all my books from the new library it took 4 turns at the vote to get the money to build yahoooo! Also I only cut my hair and my hubs at a place that charges a mere $5.00 the owner knows me and I just bake a nice marrionberry pie for her and we get er done as she is won’t to speak! Clothes the Value village is a great place in seattle some over 300 miles from our home in Seattle but they have brand new clothes with tags on them for a buck, we load up when we go up for a nice visit to friends and never look back..I don’t care that it is being sold at a place that helps people to have jobs and no parking costs needed..we are so thankful..I recycle, reuse and repurpose until I could absolutely yell to the heavens, but paid our home off many years before we had to and saved a bundle by being frugal…. I LOVE your thoughts on professional pictures. I Too, find it a total waste of money. I enjoy “real” life pictures. The cost & cuteness far outweigh the other. Your article has encouraged me to start planning a post for my blog on how we save as well. Thank you so much for the encouragement. Thanks for your encouraging list, we could do better in so many areas, but here are a few that we save money on. 1. We never pay for a babysitter, there are too many friends to swap out with and we have a teenager in the house. 2. We don’t pay to have our cars cleaned out and my husband does most of the maintenance himself. 3. We don’t go to the movies either, we try to watch Netflix or get free movies from the library or rent from Redbox. 4. We don’t purchase so called, “Sunday” clothes. What we wear during the week is what we wear to church. 5. I haven’t bought trash bags in years, we have small trash cans and use plastic grocery bags. I pretty much agree with this list. 1. All my clothes come from thrift stores and I work in a bank. I usually receive compliments on my outfits and especially the purses that I find at thrift stores. My husband is a big and tall, so we usually don’t find him any clothes there, but our son loves the thrift stores. 2. Haircuts – hubby buzz cuts his hair and I wear my long, usually pulled back in a pony tail. Our son gets his haircut at a local hairdresser for $6. 3. Books – either free from Amazon, used from a thrift store or from Thriftbooks. 4. Magazines – I have not paid for a magazine subscription in over 5 years. I usually get them from Value Mags, Mercury Magazines or other freebie sites. 5. Good food – we raise a huge garden, plus we live on a small acreage farm, so we raise our own beef, pork, chicken and eggs. 6. School supplies – I always stock up at the before school sales and have enough supplies on hand to last the whole year. No paying $2 for a notebook that cost $0.25 before school started. 3. Professional Photos – we usually barter with friends. We design their logo for free professional photos. And we have had some really good ones done. 4. Gifts – Since I started mystery shopping I have not had to pay for almost any gifts I have purchased + making extra money – SCORE! 5. Books – Love using Tyndale Rewards to get free books for our family. I have been able to get over 10 books for free using them! And using the Library for DVDs + books! 6. Eating Out – Very rarely. Maybe 1x a month unless the kids use their monthly free pizza hut book it programs- then we spend maybe 12.00 total for five of us. We still have a few gift cards from Christmas we are about to use for our Anniversary Date! YEA! 7. Toiletries – Since I mystery Shop + coupon, I do not have to pay for ANY toiletries anymore! AWESOME! We are so lucky. Our local family owned movie theater has free kids movies on Tuesday and Thursdays during the summer. We do buy the $5 popcorn but it is free refills and we share. We also go to the movies all year cause we like to support local businesses and that’s about all to do in our small town. We may go to often cause they know us by name!!! Loved this post. Two things I’ve never spent money on. 1. Manicure or pedicure. Thought about it but two friends got infections after having one done so now I have two reasons not to pay for- don’t want to spend the money and don’t want an infection that can result in doctor visit and spending even more money. 2. A car detailing–I’m sure they do a better job that my cleaning, vacuuming and polishing—but it’s a car– a way to get from point a to b—I want it clean but I can live without it being immaculate. Toiletries. I use coupons to get them free. Eating out. We go out maybe 5 times a year, and when we do, it’s to a Thai or Vietnamese place… I have a hard time capturing those flavors right when I try them at home. Salon services. I am the family barber. I don’t color or highlight my hair or get my nails done. We are frugal so we can spend money where we want. We don’t have cable, Netflix, go to movies, go out to dinner, or spend money on coffee, etc. We do have internet service and good computers because we homeschool and our kids do computer programming and robotics. We don’t have junkie, frivolous toys, but we do own two LEGO mindstorm robots and loads of technics. We have one car because my husband has a car for work. Our number one DONT: We don’t pay interest. Not on our car, credit cards, or house. We paid off our house before we had kids and saved a bundle on the interest. Without that monthly payment, we have more cash to put away each month to be able to pay cash for our car, pay off credit cards each month, etc. I know this is not a road everyone can take, but to any young people who do not yet kids, I encourage them to live only on one income while you are both working. Use the second to put into savings or pay off the house. You will set yourself up for a lifetime of financial stability. BTW, my husband is a deputy sheriff and I was a teacher. We never made loads of money. 1. Haircuts, my girls are 10 and 7 and I have always cut their hair. My husband cuts my hair and does his own. 2. Professional pictures, we take our own pictures. 3. Cable, we cancelled ours 9 years ago. We watch free antenna channels. 4. Babysitter, we have never paid for anyone to watch our children. There has only been a few times when family had to watch them. 5. Vacations, the last one we went on was our honeymoon 12 years ago. 6. Paper napkins, we use cloth napkins when we eat. 7. Kids clothing, we buy used then we sell the outgrown clothes to buy what they need. 8. Cell phones, I have no cell phone. 9. Going to the movies, the last time we went to the theater was when we were given a gift card. 10. Kids Allowance, we don’t give our kids money. Their grandfather gives them a $1 a week. That is their money to buy toys with. I only buy toys for them on their birthday ($10 gift) and a few at Christmas. I do allow them to earn their own money. Two weeks ago we had a yard sale. They gave out free lemonade but has a tip jar. They split the money and each made $4. They also sold a few toys they had bought with their own money. 11. Going out with friends, I know this one sounds heartless. I happily have friends come over and share a meal I prepared. But, some people are not happy doing that and feel like they have to spend money to have fun. Sorry not me. 12. Gift bags and tissue paper, I have a box under my bed. I keep gift bags we get in good shape and the tissue paper to reuse. 13. Expensive gifts. A friend from church is having a baby. I was able to find a cute baby outfit on clearance for $2. Then using our recycled gift bag and tissue we packaged it and gave it to her. All for $2. 14. Meat, many of our meals are vegetarian. Not only does that save money it is healthier for us. 15. Packaged sweets(cookies, cake, ect), we make ours from scratch. We are constantly looking at our expenses and trying to reduce where we can. It is good to evaluate things periodically because it is amazing what you find! I just cancelled my Verizon phone and got a Cricket prepaid phone. I am totally satisfied with the coverage and it is 1/3 of the price! We also do thrift shopping for the kids and sometimes I am even able to reconsign items, which is always exciting! It is so good to teach your kids the value of money and for them to watch as you try to use it wisely. Thanks for the post! We rarely spend money on…. Movies: Our kids (6, 4, 2, nb) have never been to a theater. We do Friday movie night at home. We watch what we have, pick up a movie from Redbox, or find something on Amazon Prime. We usually have homemade pizza or baked potatoes for our “frugal Friday” meal. Haircuts: My husband is bald 🙂 and I cut our kids’ hair. I get a cut once a year. Clothes: My favorite thrift store has a big 50% off sale on holidays like Labor Day, Memorial Day, President’s Day. I get everything we need for the upcoming season then. I got everything my oldest daughter needed for summer for about $20. Also our oldest is a boy and then we have girls. Our girls wear plenty of boy hand-me-downs like dinosaur jammies. They’ve never cared one bit that it isn’t “girly!” As for me, most of my clothes come from our church’s semi-annual clothing donation and swap. I live in a pretty well to do area (although we live very, very frugally) and so I’ve found lots of great brands that I would never pay for! Dinning Out: We just don’t do it more than a couple times a year. My husband takes lunch from home everyday too. Babysitting: We used to be part of a babysitting group where several families took turns babysitting all the kids while the parents went out for dates. It was incredible! Sadly, we moved and don’t have a group going. I do usually just swap babysitting with another family. Christmas: I plan ahead and search Craigslist and the thrift store for the items we want for our kids. They don’t care that the toys are used! No gym memberships, No mani/pedis, No TV or cable, No Disney trips. Lots of library visits, time outside, and free family activities! And the best part is we feel so blessed with such a good life! I don’t know if anyone else has made you aware of this but I just got an email from Schoola and I got another $10 credit good for today with free shipping for being a good customer. You and your readers might want to check their emails. Thanks for all you do! Great list! We buy a few prepared snacks, but mostly make our own too. 1. Adult clothing, shoes and accessories. My husband and I don’t buy new clothes, shoes, jewelry, etc. very often. We tend to wear the same things over and over, and I really like how that simplifies life. 2. Paper products, including paper towels, napkins, and gift wrap. We use rags as much as possible, cloth napkins, and reuse gift bags, wrap (if not too wrinkled), and ribbon. 3. Entertainment. We don’t have cable, and we never go to the movies. Our daughter is 5, and each of the three times we’ve taken her to see kid movies in the theater, she’s gotten scared and we’ve had to leave. I haven’t seen an adult movie in a theater since I was pregnant with her. If my husband and I get a date night out on our own, we want to talk to each other. 4. Books. While I do buy some books for my daughter, I almost always get the books I read out of the library. 5. Cars. We believe in driving cars until it no longer pays to fix them. We have fuel-efficient cars, and drive them for as long as possible. We drove our last Accord until is 224,000 miles on it! 6. Outsourcing. We do our own cleaning, yard work, snow removal, and as many house repairs as possible. We do pay for oil changes and car care, though. This is such a great list. I am a SAHM. Most of our clothes for our boys come from garage sales or hand me downs. My husband and I have been married almost 8 years and we have NEVER been to a movie together! Crazy, I know. I don’t comment often but have always love your blog. You have been such a blessing to our family. I have been a reader since the beginning and your blog before this one! I love alot of the ones on your list as we have some similar ones such as movies, eating out fancy dinners, etc… we budget to eat out 1 x a week but its usually something we can spend less than $20 on as a family plus my toddler isnt so great with going out right now. Another thing I rarely spend money on is things like Starbucks (prefer snuggling up with a regular ole hot chocolate at home and a good book). Plus I dont drink coffee so that helps. We also dont go out to movies very much at all during the year for the same reason.. they just arent making great ones that are worth going to the theater for. Hunger Games was an exception and probably Mockingjay Part 1 is the last one we saw in the theater. Even then we paid matinee price 🙂 The wonderful Redbox codes you give out to us on here have given us FIVE free movies so far!! Thats pretty good since we have a computer gadget that can copy them onto our DVR and then we just send the DVD back within the 24 hours and watch the movie at our convenience. I rarely spend money on books either (thanks to all your free ebooks!) and magazines I can get free through Erewards surveys. I have like 3-4 magazine subscriptions that I pay ZERO for! We do our own yard work so we don’t pay for landscaping really. Oh, and I am pretty good at doing my own manicures and facials so dont go to salons much. Seriously… I probably should go more than I do to get my hair cut but I go maybe 2-3 times a year? Some of that is money, some is disposable time. Love your post here! Great to see that even when we CAN spend money on things, its usually stuff we dont spend on because we can either do it ourselves better or just plain dont need it! Thanks for setting a great example! (1) Magazines – I never buy them and I get 20+ subscriptions for free, many which I found here at MSM. (2) Mani/Pedi – I do my own with loads of free nail polish and free Revlon nail care items I’ve accumulated with coupons and deal match-ups, also found at MSM. (3) Coffee Shop Drinks – It’s not that I don’t get them, I don’t spend money on them. I only purchase with Starbucks and Dunkin’ gift cards (or free coupons) earned through rewards sites and apps. I learned about these also from MSM. (4) Birthday Celebrations – With all the freebies you can get from businesses and restaurants on your special day, the only money you need is to tip for great service. Learned about them here too. (5) Books – If I buy a book it’s at a yard sale or thrift store. There are thousands of free Kindle books available on Amazon. I also enjoy swapping books with friends. Libraries are good resources for newly released titles. I check MSM daily for free Amazon book listings. (6) Bank fees and interest – I use free checking and a no fee rewards credit card that I pay off every month. I don’t have a debit card so I’ve never used an ATM. I pay for most everything with my credit card and earn gift cards for dining out (and coffee!) I know that’s something you don’t agree with, Crystal, but it works for me. 1) Haircuts: We cut our kids’ hair. I get a cut once or twice a year for $15. My husband probably spends about $100/year on haircuts (I need to learn how to do his, but he is particular!). There is no highlighted hair or manicured nails in this house! 2) Cell Phones: My husband and I both have a tracphone, which is $7/month for each of us and has more minutes than we need! 3) Laundry Detergent: I make a big batch 1-2 times a year, and it feels like it only costs pennies to make. 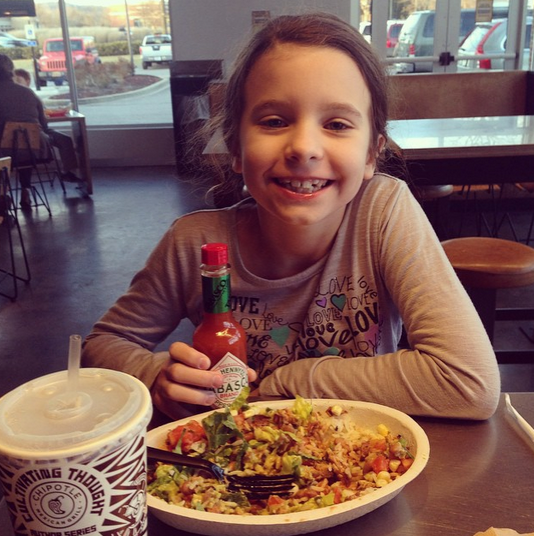 4) School Lunches: They are expensive! I can easily pack a lunch for half the cost. 5) Kids Clothes and Shoes: I buy a lot of clothes at rummage sales. I especially love to find good shoes, snowpants, winter coats, fancy dresses, etc. The big ticket items is where you’ll really find your savings! 6) Babysitting: I have never hired a babysitter. I ask friends and family to help when I need. 8) Christmas/Birthday Gifts: We do not buy our kids much in terms of gifts at this point. They get plenty from everyone else! 9) I won’t repeat Crystal’s list, but I must have read her blog long enough that I also can relate to each of Crystal’s 6 items. My list looks very similar to yours. When it comes to photos of my children, I have been putting in the effort to really figure out my camera. My real challenge there is getting my husband to pick up the camera on occasion so there will be photos of me and my children together. Our lists are nearly identical with the exception of eating out. This is something we rarely do. We live in a rural area and it just isn’t practical, not to mention my family would rather eat at home. I make nearly everything from scratch. We have very nice furnishings but they are all hand-me-downs. We don’t have cable, satellite or wifi. I tether from my phone for occasional internet usage at home and utilize free wifi elsewhere. We attend the movie theater once or twice a year thanks to free tickets but typically enjoy movies at home with free redbox codes. I have a teenager who is definitely concerned about his clothing and shoes. Although we preach that life isn’t about the brand you wear, we still keep him in nice clothing. My parents and sister keep him “in style” (aka SPOILED) and I supplement with free gift cards earned through apps and rewards sites (I belong to them all!!!) We also rarely buy clothing for ourselves. We are both very lucky to have professions that don’t require dress clothing…jeans and tshirts keep things simple and last a very long time. Professional pictures – you should see the prices on school picture packages these days. I purchased a high end camera several years ago and take my own pics. I would much rather have a picture of my child in nature than one with a fake “nature” background. I utilize all the photo freebies available to keep cost low. Movies – We do have cable and movies come out on On Demand so quickly that it just doesn’t make sense to pay the big bucks. I’m with you and totally enjoy the comforts of home over a movie theatre any day. That being said, there’s apparently an Avengers movie coming out this weekend that the kids both want to see. Pictures: We were pretty faithful with pictures when the kids were younger. Then we hired one of those expensive picture takers and the pictures were so good. The problem is we don’t want to pay that price every year. Jewels: Yep! We aren’t fancy people. No need for jewelry and all that fancy stuff here! Pedicures/Manicures: I’ve had a manicure once in my life. It’s just not my thing. I totally agree with what you said about going to see movies in the theater. Another reason I’d rather watch a movie at home is because I know the people around me (my husband) will be courteous and quiet!!! It really stinks when you’re revved up to see a good movie and you’re sitting next to people who talk through the whole thing (you’re watching a movie, why are you talking?!) or are on their very distracting, glowing phone (you’re watching a movie, why are you staring at your phone?!). I make exceptions for certain movies that I just have to see in the theater and experience with other people, like the new Star Wars movie. There’s just something about being in a theater packed full of people all pumped up to see a movie. It’s a really cool atmosphere. Agreed! My husband and I both enjoy movies quite a bit, but we usually only have a couple of must-see-in-theaters movies per year. Which are usually the big geeky movies with special effects we’d want to see in all their big screen glory. The last time we went was back in December for the last Hobbit movie, and we’re treating ourselves to one last pre-kid movie theater date for The Avengers tonight. But it’s definitely going to be tougher after this. We are hoping to get out for Star Wars, though! 1. Books + CDs. I can’t tell you the last time I purchased a book (I know that might make you cringe as an author, but it’s true!) Books are so expensive these days, and for something I might read once, it’s just not worth it to me. Instead, I use the library. Same with CDs. 2. Cleaning Supplies and Laundry Detergent. I make my own detergent and use old t-shirts, etc. for cleaning rags. I make all of my cleaners because I can’t stand the smell of strong cleaner. 3. Beauty Care. I do my own nails, dye my own hair, etc. I get my hair cut once a year (if I remember!) and don’t go with fancy hairstyles. It ends up in a bun most days anyway! I do buy nice sunscreen and a few other skincare products just because I have sensitive skin and it makes a huge difference, but other than that, I don’t really buy makeup or buy in to the latest cosmetics craze. I rarely buy books. We utilize our local library a lot. Less clutter. One thing I rarely spend money on: coffee out. I LOVE coffee, but I’m just not that picky about it. I have Keurig machine that makes good coffee, IMO. I make mine at home and only get a coffee out on rare occasions as a treat. I also rarely spend money on clothes for myself. I shop thrift stores and clearance to find some awesome things for next to nothing. I usually ask for things or gift cards for my birthday and Christmas, too, so I can get nicer new things without spending money. We don’t pay for lawn service or any kind of maintenance on our home (except HVAC). We do most everything ourselves including renovations. While I pay to get my hair cut, I color it myself. We buy very few adult clothes and get all of our son’s clothes second-hand from a friend that we purchase for very little. We both work outside the home, so we pay for childcare during the week, but we’ve never paid for a baby-sitter on the weekends or evenings because we have great in-laws. We do splurge on a cleaning lady twice a month, but that allows us to keep our sanity and not spend our entire weekends cleaning. We have enough to do with laundry, dishes, etc. 1. Clothes from my son come from my nephew. Usually its a HUGE box with clothes spanning sizes like 2T-5T and I was paying my sister shipping since she lived in Alaska. I get about 2 boxes/yr which is on average ~$100 for 4+ years worth of clothes! 2. Toys for my son. I have learned now that grandparents aunts, and uncles spoil my boy, so if I want to get him something its a bargain, a hand me down, or a sale item. 3. No cable – we use free redbox rentals and we don’t go to the theater on the account of me being half deaf and relying on captions. 4. I am an avid runner – so no gym memberships I prefer running outdoors anyways! 5. My husband changes the oil in our cars, and the air filters, and other stuff. Both of our vehicles are paid off as well and we intend to drive them till they die. 6. Haircuts – my husband clips his own hair and I am lucky if I make the time to get mine cut once a year – its all I really need and want. We hardly ever spend money eating out. I cook meals every night and i dont mind, even though i work full time. My organizational skills could be better in this department but i manage. We proberbly eat out 3 or 4 times a year, birthdays etc. A group of us at work swap books and magazines. 1. Beverages – Other than a cup of coffee with my breakfast or an occassional glass of milk with the kids dinner, everyone in our family drinks water. No juices, sodas, tea etc. 2. Fabric softener – I do purchase laundry detergent (although I would love to make my own) but because my daughter has exzema, I stopped using fabric softener and really don’t miss it. 2)Purses- I buy purses for around $2 or less at yard sales. Every few years I’ll get a nice one for my b-day (around $30). I use the same purse for 6 months-1 year and then it’s usually worn out by then. 3) Kid’s clothes here as well– yard sales and hand me downs. My kids get dirty everyday from playing outside. I like knowing I don’t have to stress about stains! 4) Mani/Pedi- another 1x a year treat, if that! 5) Massages/Facials- I still have a gift card for one from 2 Christmases ago….oops! 6) New electronics– our flat screen TV was a hand-me-down from family…our TV before that was one I bought for my husband 14 years ago. I will say we buy computers (not high end) for our home-based business and homeschool but we don’t go out and get the latest and greatest as soon as it hits the stores! I finally upgraded to a smart phone earlier this year (from a flip phone) and it’s been great to have for my business…but it will need to last a while. We don’t eat dessert on a regular basis. I usually get my clothes at a local thrift store, frequently with tags still on them. I clean with vinegar and bleach that are much cheaper than expensive products. We are with you on the not eating out. We usually receive a few gift cards to nice restaurants at Christmas time. Those are a treat, and we use them, but we rarely go to a nice restaurant and spend our own money. Great article. Lots to think about! We have also rarely spent $ on clothing for our kids, I am super cheap and when they are growing what is the point? Now that my girls are older they have learned and adapted to buying clothing cheap and getting deals with coupons and scouring thrift and second hand shops, they will sell clothing to get a credit when they want something new and have been buying their own clothes ever since they started high school…they learned to work for what they wanted and get the latest styles cheap! I agree with so many of your ideas. My husband and I are almost empty nesters. My youngest is finishing up college. We never had cable. I would have liked it but the bill wasn’t worth it. Now we have Netflix or I rent from Redbox. I work from home so I wear comfortable clothes. My husband is semi retired.He doesn’t need dress clothes either. We drive our cars until it costs more to repair then the vehicle is worth. We don’t go to the movies much either. The last one we went to was a gift from the kids. We eat at home much of the time. If we do go out is it our favorite diner that great food with a reasonable cost. I do splurge on an expensive haircut. I cut the times down from every 6 weeks to 10 weeks since we mainly live on one income now. The haircut makes me feel good. We do travel our oldest lives out of the area. We look for a cheap place to stay or a place that we can get points for a free stay. This is a great post! 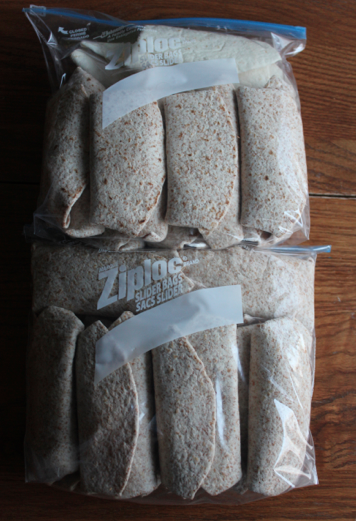 Now that your kids are in school, are you finding it difficult not to buy some prepackaged food for lunches? I try to make healthy lunches, but there always seems to be something prepackaged. Our grocery bill keeps going up. I would love a post on what you pack for lunch.